Bowser with Walhart as a support spirit decimates any non-boss matchup. The AI just cannot deal with such a level of super armor. You become slow as molasses but matches are over in seconds. Super weird question as I prepare for "the future": Would such a combo be good for "training" other players? I can explain why the usual methods aren't to great an option for my nephews, but once I mention I've got four (all brothers living in the same house) with restricted "screen time" and ranging from age three to age ten, the rest probably sorts itself out. Though they'll probably be more like ages four to eleven by the time they actually have Smash Bros. Ultimate, given they are only hoping for a Switch soon. Edited by Otaku, 15 December 2018 - 11:19 AM. I just beat Galeem in World of Light, anyone know if theres a way to fight it again outside of story mode? It was very impressive looking but I was so consumed with winning I couldn't really appreciate what I was looking at. Finished World of Light. It's not bad but I wouldn't feel so disappointed if the teaser they showed didn't make it look like there was going to be more character interaction and fully voice acted lines. Am I the only one that thinks the glitch could make for a fun game mode? Basically, each player starts an equal distance from an Assist Trophy. 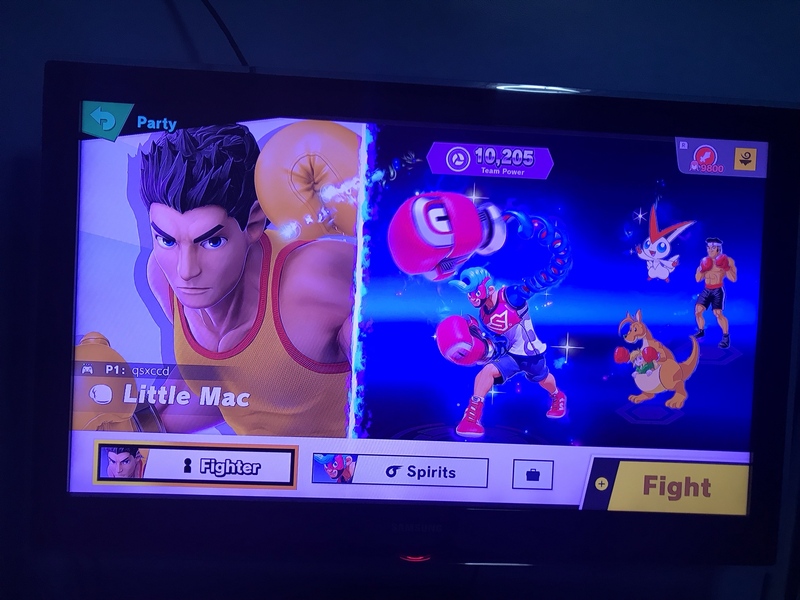 First player to it does the infinite assist thing, but if it is a poor enough Ally (in terms of this mode) Player 2 still has a chance to win by going for a quick Smash Out... as commands for the character using the trophy are unrealiable due to infinitly spawning assists. Plus we need Fanart of Isabelle backed by an infinite swarm of enraged dragons. What disturbs me is the claims that it's a horrible game... because of two glitches, let's be honest, NO one would have found till it got out to millions of players. Flipping a coin sounds like far less of a hassle given how all but like, three assist trophies have KO potential and having a dozen of them traps you in a hitstun loop. But best to try it out soon if youre interested. Probably getting patched out soon. Edited by unluckiness, 20 December 2018 - 09:15 PM. Yeah... I'm not going to get the chance. Ironbite-just...damn man that's unfair to anyone. I'm just 1 fighter away from full roster.. and it's mii battler. Oh so that's what that place was on my Corrin run through classic. Ironbite-yeah thanks but no thanks. Edited by unluckiness, 24 December 2018 - 07:03 AM. Not that anyone here would need to know the video game origins of these characters, I'm sure, but it's nice seeing retro-gameplay. Edited by Caldwin, 24 December 2018 - 09:25 AM. Why is Luigi so hard to unlock? Ive fought him three times and he just wont die! Few people know that Luigi is actually one of the most powerful beings in the universe. He just doesn't care for fame and fortune, so he lets his brother hog all the glory.